I have been blessed to be witness to the most tender moments I can imagine. Can you see the glistening tears pooling in my Dad's eyes? 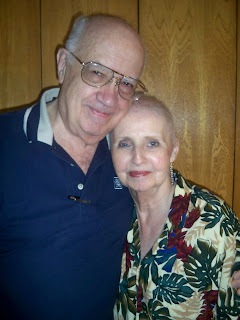 My parents have been married 58 years. are reminiscent of watching newlyweds. Who can doubt that this marriage is eternal? Loving relationships are not only rewarding in this life - but I know they continue into the eternities. That's my little bit of inspiration for today. How touching.....I just adore this pic and thanks for sharing with us today!!!! Oh so beautiful :). Your parents are too cute! now this is one absolutely gorgeous couple!!!! wow! all the very best to the both of them! What an awesome post! I am so happy for them and for you that you grew up with a family that amazing! It's amazing to know there really are people out there who make a marriage work forever! 58 years is such an accomplishment. I love this! What an incredible gift your parents have given to you. A true example of a loving marriage. So wonderful!